El Lago is located at 29°34′20″N 95°2′37″W﻿ / ﻿29.57222°N 95.04361°W﻿ / 29.57222; -95.04361 (29.572147, -95.043680). According to the United States Census Bureau, the city has a total area of 0.7 square miles (1.8 km2), of which 0.6 square miles (1.6 km2) is land and 0.1 square miles (0.26 km2), or 8.45%, is water. As of the census of 2000, there were 3,075 people, 1,303 households, and 870 families residing in the city. The population density was 4,709.3 people per square mile (1,826.6/km²). There were 1,409 housing units at an average density of 2,157.8/sq mi (837.0/km²). The racial makeup of the city was 94.50% White, 0.78% African American, 0.46% Native American, 1.40% Asian, 0.07% Pacific Islander, 1.37% from other races, and 1.43% from two or more races. Hispanic or Latino of any race were 5.04% of the population. There were 1,303 households out of which 27.0% had children under the age of 18 living with them, 58.1% were married couples living together, 6.0% had a female householder with no husband present, and 33.2% were non-families. 27.2% of all households were made up of individuals and 5.4% had someone living alone who was 65 years of age or older. The average household size was 2.35 and the average family size was 2.89. In the city, the population was spread out with 22.1% under the age of 18, 6.0% from 18 to 24, 30.3% from 25 to 44, 29.0% from 45 to 64, and 12.6% who were 65 years of age or older. The median age was 41 years. For every 100 females, there were 108.5 males. For every 100 females age 18 and over, there were 106.4 males. The median income for a household in the city was $66,223, and the median income for a family was $90,446. Males had a median income of $66,000 versus $40,302 for females. The per capita income for the city was $33,454. About 2.2% of families and 3.0% of the population were below the poverty line, including 3.0% of those under age 18 and 1.8% of those age 65 or over. The City of El Lago is a Type A general Municipality. Operating under a strong Mayoral form of government. The City council is composed of 5 Council Persons and a non-voting Mayor. The Mayors may vote to break a tie. Each position serves for a two-year term. The Lakeview Police Department serves El Lago and Taylor Lake Village. In 1986 the two cities decided to merge their police departments. The merger was finished in January 1987. The administration is in El Lago. The Seabrook Volunteer Fire Department provides fire services. The City of El Lago has two elementary school within the city boundaries; Ed White Elementary School. Other zoned schools include Seabrook Intermediate School (Seabrook), and Clear Falls High School (League City). 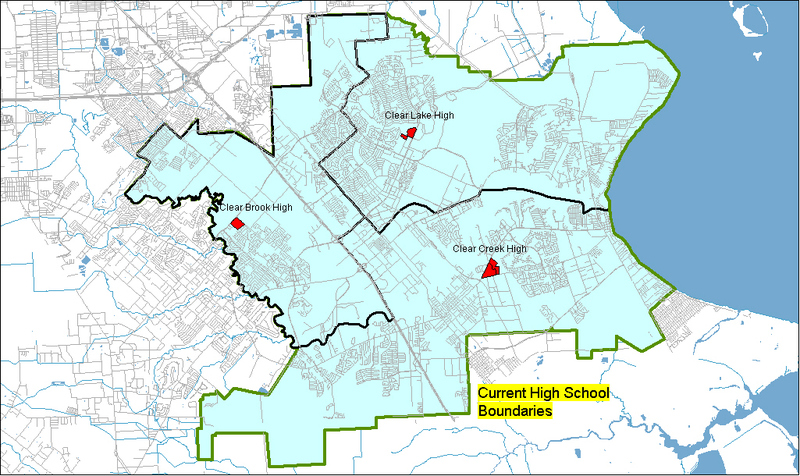 Residents were previously zoned to Clear Lake High School in Clear Lake City, Houston. Bay Area Charter Elementary School is a state charter school located in El Lago. Harris County Precinct 2 operates the Bay Area Community Center at 5002 NASA Road 1 in nearby Pasadena. ^ "Profile of General Population and Housing Characteristics: 2010 Demographic Profile Data (DP-1): El Lago city, Texas". U.S. Census Bureau, American Factfinder. Archived from the original on September 11, 2013. Retrieved June 15, 2012. ^ Chang, Yushan (2006). Newcomer's Handbook Neighborhood Guide: Dallas-Fort Worth, Houston, and Austin. Portland, OR: First Books. p. 187. ISBN 0-912301-70-8. ^ "Clear Lake Area Communities". Clear Lake Area Chamber of Commerce. Archived from the original on June 21, 2009. Retrieved 10 Nov 2009. ^ "Home." Lakeview Police Department. Retrieved on March 18, 2014. ^ "Contact Information." Lakeview Police Department. Retrieved on March 18, 2014. "ADMINISTRATION: 98 Lakeshore Drive El Lago, Texas 77586"
^ "Lakeview Police and Seabrook Volunteer Fire Departments." City of El Lago. Retrieved on March 18, 2014. ^ District 1 Map Archived February 27, 2009, at the Wayback Machine. Clear Creek Independent School District. Retrieved on December 6, 2008. ^ White Elementary School attendance zone." Clear Creek Independent School District. Retrieved on December 31, 2016. ^ Seabrook Intermediate attendance zone. Clear Creek Independent School District. Retrieved on December 31, 2016. ^ Clear Falls High attendance zone. Clear Creek Independent School District. Retrieved on December 31, 2016. ^ "Clear Creek High School Boundary." Clear Creek Independent School District. Retrieved on December 6, 2008. ^ "Bay Area Community Center." Harris County, Texas. Retrieved on December 6, 2008. This page was last edited on 18 February 2018, at 20:45 (UTC).